Ear wax is a yellow waxy substance that coats the inner part of the ear canal. It protects the ears from bacteria, insects and fungi. Though it is useful for the ears, it is essential to keep cleaning the ear wax regularly as it can easily become hard, get accumulated in the ear and cause a blockage. If a large amount of ear wax gets built-up, then it may lead to ear pain, tinnitus and even loss of hearing. There are many ways that can help you get rid of the ear wax like ear drops. In addition, there are many other home remedies through which you can easily clean the ear wax without causing any ear pain. 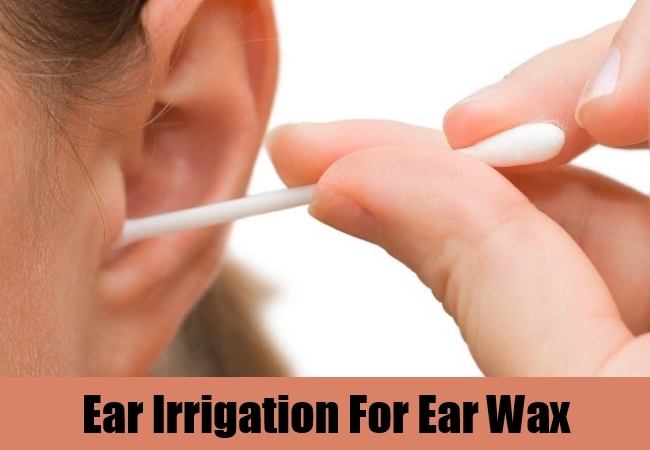 Ear irrigation is one of the most effective ways of cleaning the hardened ear wax. It flushes out your ear canal using water for removing the excessive ear wax. You can first put a few drops of ear wax softening drops to loosen the ear wax accumulation in the ear canal. It is recommended to use water that is of the body temperature as if the water is too hot or cold then it may increase pain and dizziness. When the wax gets loosened up with the ear drops then it eases the process of removing the wax from the ear canal. Oil can greatly help in softening the ear wax making it easier for you to clean the wax from the ear. You can use baby oil or mineral oil to soften the hardened ear wax. You can also use olive oil or mustard oil for cleaning the ear wax from the ear canal. After putting the oil in the ear try to keep your head tilted towards the other side for a couple of minutes, allowing the oil to set in the ear canal. Ear drops can be easily bought from over the counter for getting relief from the hardened ear wax. These ear drops often contain carbamide peroxide that helps remove the excessive buildup of ear wax in the ear canal. Take as many drops as instructed on the back side of the ear drop cover. You can even use hydrogen peroxide to remove the excessive ear wax. Mix an equal portion of water and hydrogen peroxide and put 4-5 drops of the mixture to your ears. You may experience bubbles rising in your ears but keep your ears tilted until the bubble effect fades in the ears. It helps the solution to get absorbed so do not move your head at least for about ten to fifteen minutes. You can use a hair dryer to dry out the extra water from the ear canal. You can use good quality ear buds to remove the ear wax as it can easily clean the wax stuck in the ear. If you want you can also dip the ear bud in alcohol and then use it to clean the ear wax. It not only removes the excessive ear wax but also prevents you from different ear infections that may occur due to accumulation of ear wax.